Literally the jaw muscle (masseter) from beef cattle. This cut of meat isn't very commonly found in butcher shops or meat markets, but is very flavorful. 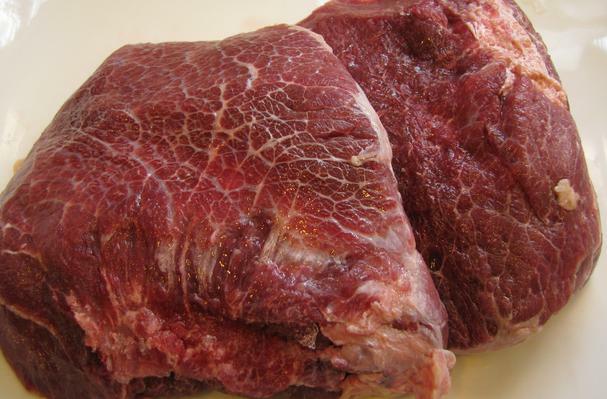 A tough piece of meat, it contains a lot of connective tissue that breaks down with long slow cooking such as a braise. Typically round and flat in shape, a single cheek will feed one to two people.